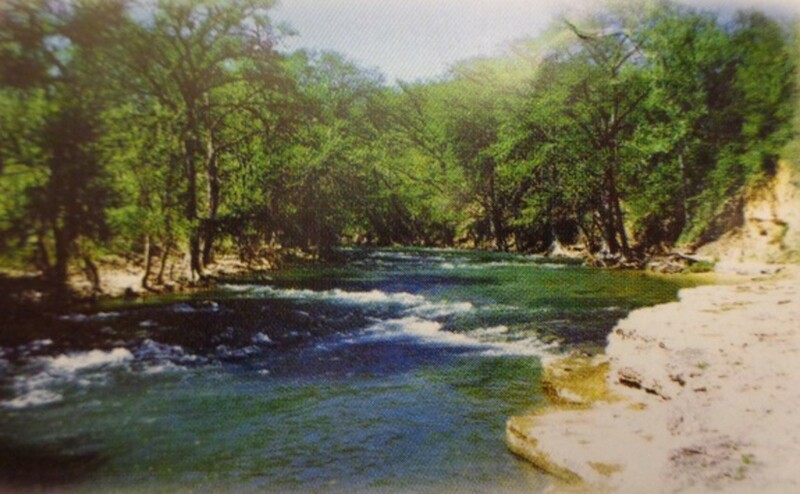 The Lazy L&L Campground is located between the 3rd and 4th Bridge Crossing along the Guadalupe River - a year round Rainbow Trout fishery in Texas! 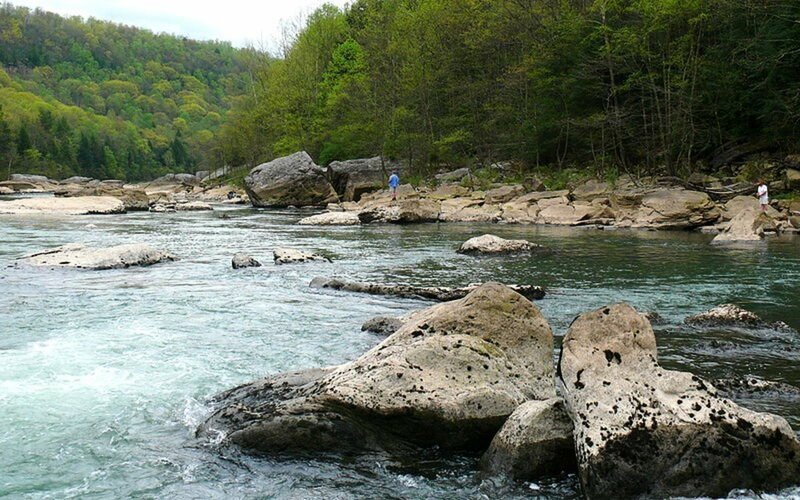 It is a privately owned campground that offers RV camping, tent camping, river tubing, kayaking/canoeing, and fishing! It also has a music/dance hall and hosts a number of live music events throughout the summer. For the fisherman interested in Rainbow Trout fishing, Lazy L&L Campground is stocked periodically by Guadalupe River Trout Unlimited (GRTU). 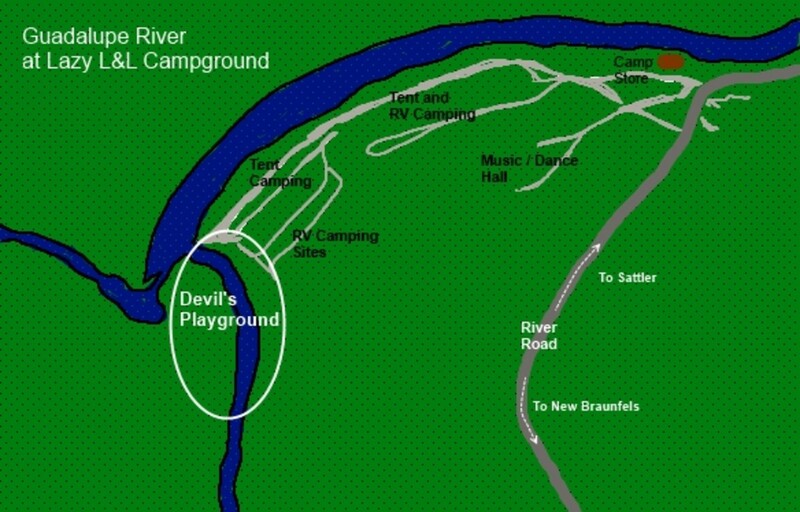 Of interest to fishermen is a section of the river that passes through the Campground's property known locally as the Devil's Playground. It has a series of shallow runs, rapids, and pools popular among river tubers in the summer. As winter approaches, it becomes a popular starting point for Rainbow Trout fishing, as the same runs, rapids, and pools are likely to hold a fish or two! 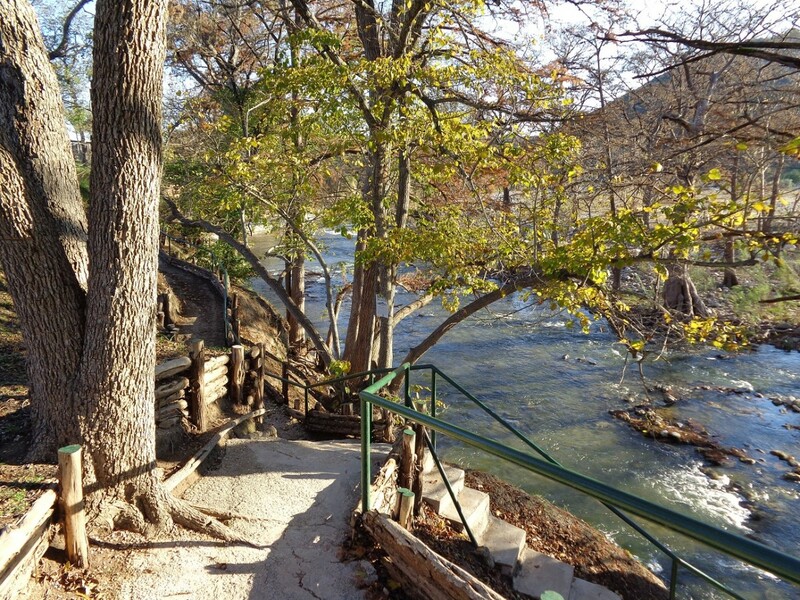 The riverfront property along the Guadalupe River is largely privately owned, especially below the Canyon Lake Dam. For fishermen seeking access to fish the river, Lazy L&L Campground offers free access and fishing for overnight guests. 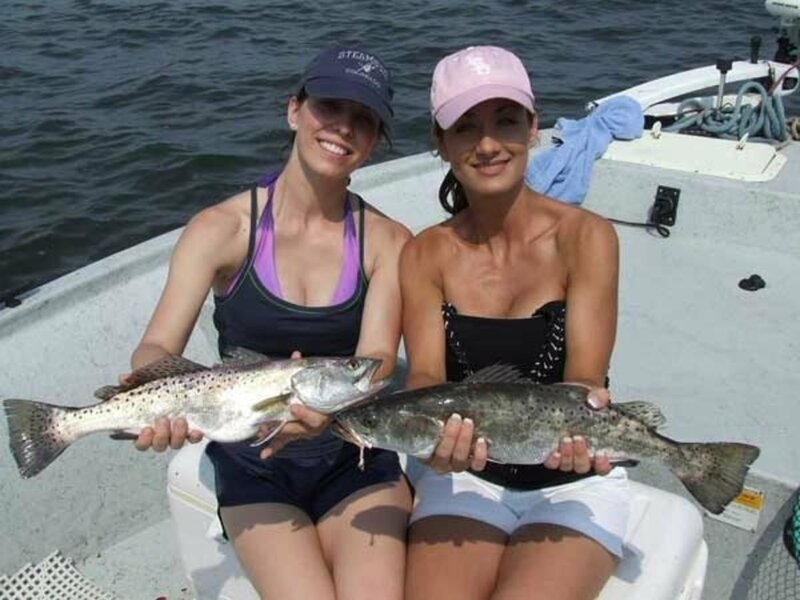 In addition, fishermen can pay a nominal fee to wade fish. 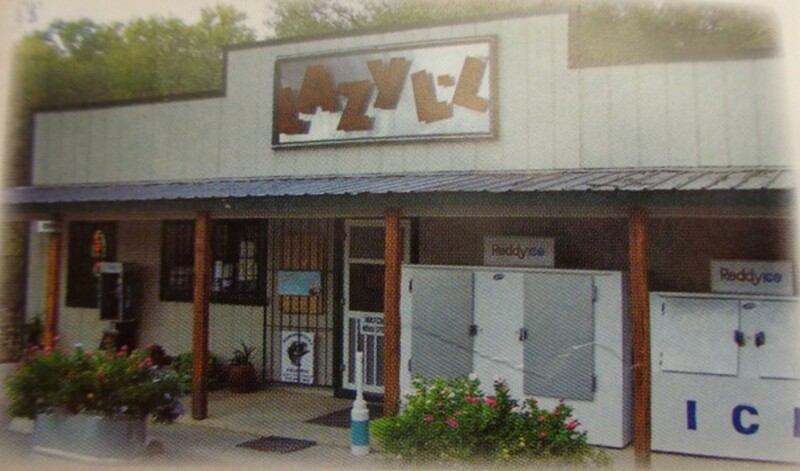 Lazy L&L Campground charges $8.00 for its day use access fee (dated 11/23/13) and is paid at the campground store. After check-in, you will be issued a parking sticker that is placed on the passenger side, upper part of the car windshield. You can then proceed to the day use parking area - near the Devil's Playground entrance and adjacent to a large fire pit. Trail splits in two. Stop here and look for Trout lurking in the pools and runs below! 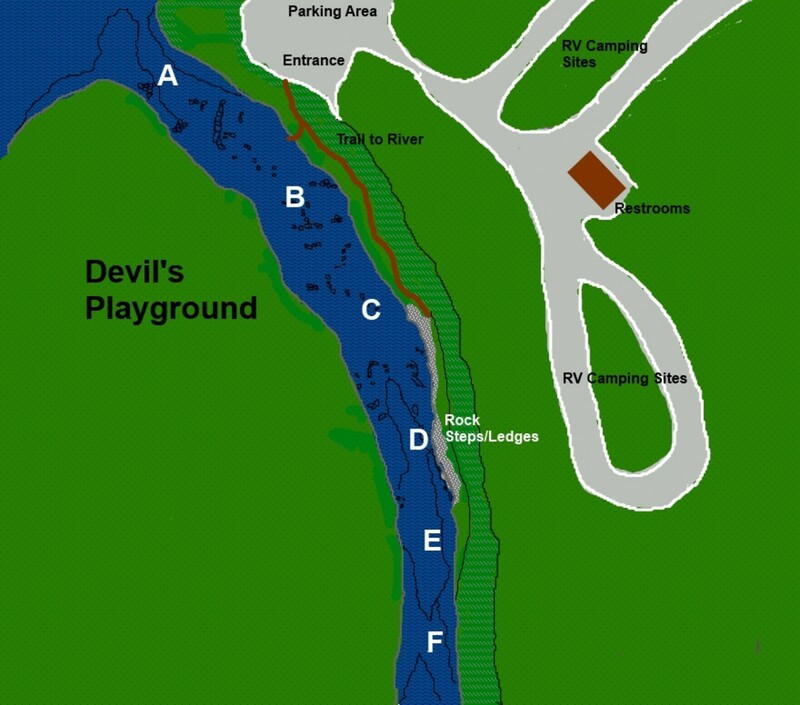 From the day use parking area, you will see the the entrance to the Devil's Playground that will lead you to the river below. As you proceed through the entrance, note the steep steps and the trail that leads you to the river below. Before heading directly to the river, stop where the trail splits in two. One trail leads upriver and is more like a stairway than a trail. The other trail leads downriver and is not as steep. Before proceeding on, scan the river below. Look closely at the pockets and pools for any sign of Rainbow Trout. If you see fish, note their location and plan your approach accordingly so as not to spook them. See the video below to see fish lurking in the pockets and pools. There is an introduction that gives background about the trip; at ~ 50 seconds in to the video, you will see the Team scanning the river and locating Rainbow Trout from their vantage point on the trail! 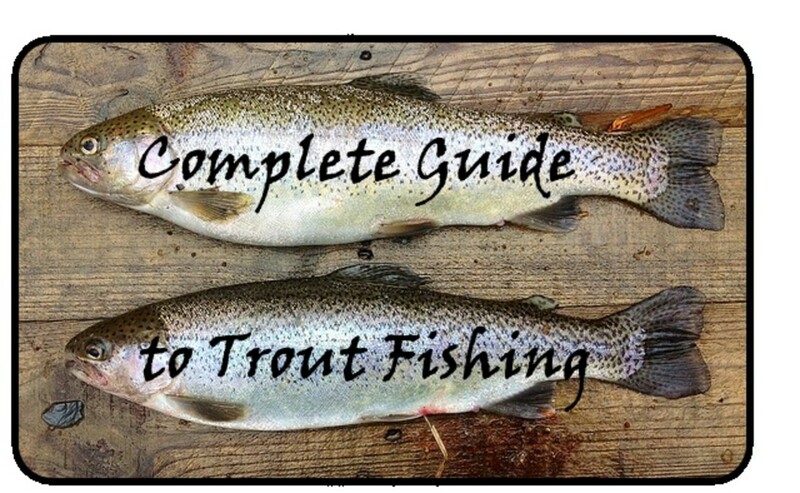 It is located near at GRTU Trout Stocking Location where a majority are caught and released by fishermen as it is well within the Special Regulation Zone. 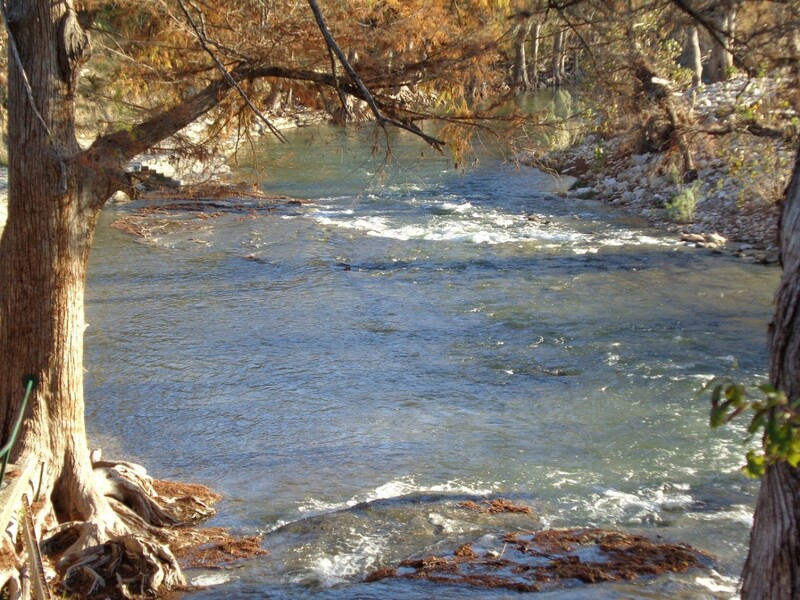 It is located between two Rainbow Trout stocking locations used by TPWD each Winter. 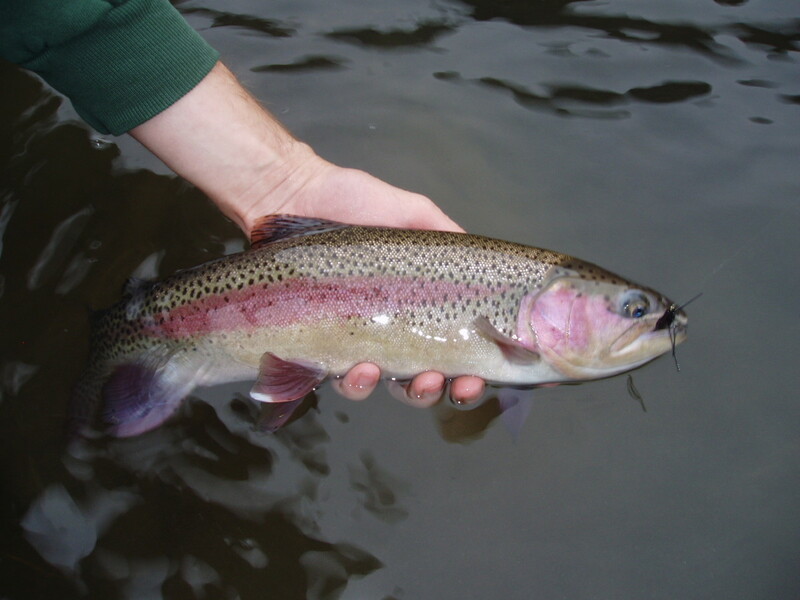 The Rainbow Trout tend to be larger than others stocked outside of the Zone. Additionally, the Campground offers a mile of riverfront access to fishermen, increasing the likelihood of success! Area A - This area is located upriver and has a deep pocket in the middle. 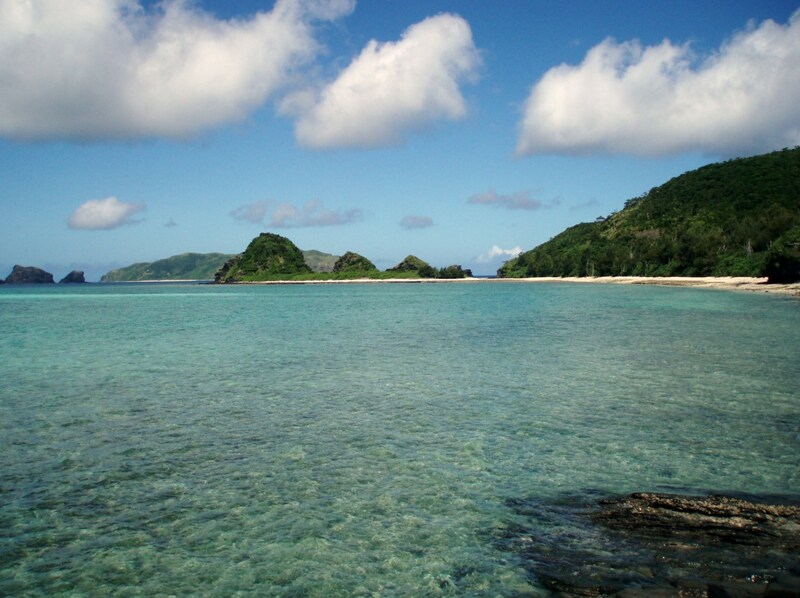 It has submerged rocks and runs that can be easily seen when wearing polarized glasses. Be prepared to see Rainbow Trout just a few feet away from you, lurking just out of the current. Also, note the area along the bank to the left as you face upriver. There are Cypress trees and an undercut bank that may hold a Trout or two! As you move downriver and before you get to Area B, there will be a series of rocks that run across the river. Keep a low profile here, and then work the pockets and shallow pools. This is the same area you scanned from the vantage point above (where the trail split in to two). 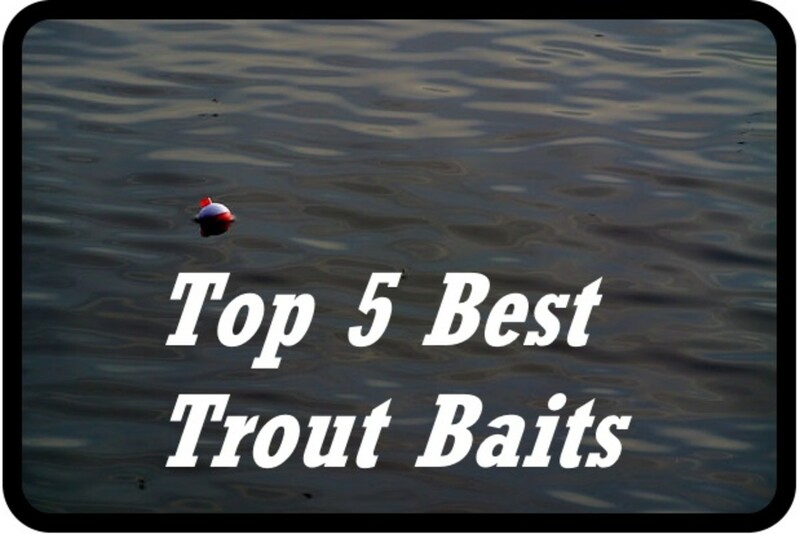 Area B - As you continue downriver, look for more pockets and pools that may hold a fish. The area is shallower compared to upriver and may be barren of Trout but it does not hurt to work the area just in case!. Area C - Next is another shallow area with runs and pockets that may hold a Rainbow Trout. However, if given a choice, would fish Areas A and B before opting for Area C.
Area D - Has fast water, rapids, and a deep pool. 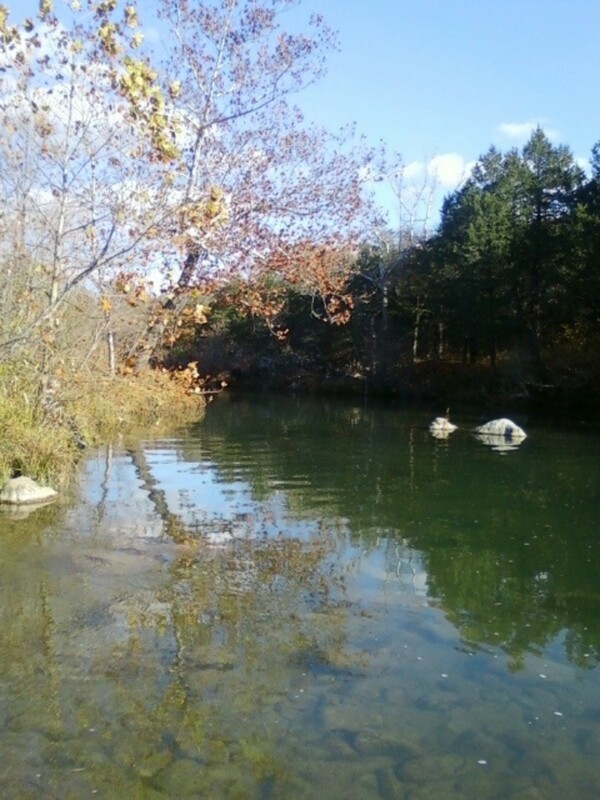 There is also a rock outcropping that provides ease of access to bank fishing. Also, note how the water circulates upriver and back in some places, making for an excellent chance at a fish lurking below, waiting for a tasty morsel to go by. Area E: Continuing downriver, this area has a couple of runs that look promising. When wading this last trip (11/23/2013), we were able to enter the river and stand midway across in chest waders without an issue. Area F: The current in this area starts to slow slightly and a couple of runs hold promise. However, most of the fish activity observed occurred close to the bank nearest the trees. Be prepared to work the hatch and make every attempt to match the hatch! Another video clip of fishermen catching some nice looking Rainbow Trout using hand poured Trout Worms! Like the action shots and the trout moving in and out of the runs and pools. 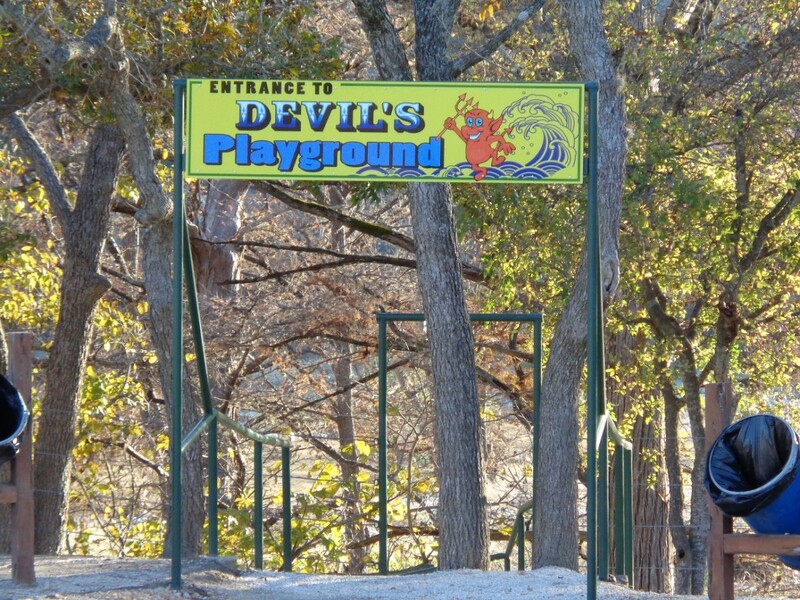 Posted November 17, 2013 and filmed at Lazy L&Ls Campground at the Devil's Playground! Thanks lisavanorst! It is a nice place, especially in the Fall/Winter! Looks and sounds like a beautiful and serene place to take the family. I hope to visit it someday. Nice pictures. 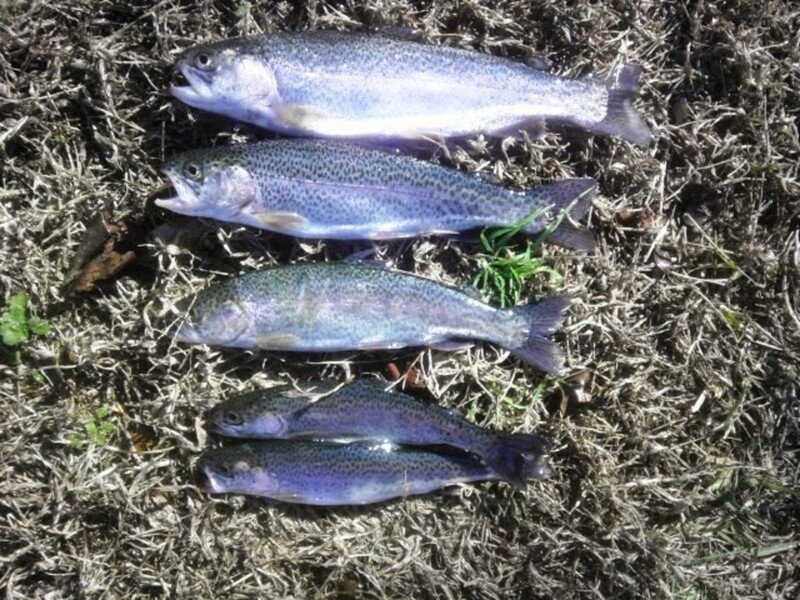 Last in a series of articles about rainbow trout fishing on the Guadalupe River in Texas! This one is about Lazy L&L... others to check out are the Rio Raft Company and Huaco Springs! Do check them out, too!